An insight into the current situation about regulations for radiation levels from cellular towers and mobile phones in India. The hazards of mobile phones and cell tower radiation join the list of potentially alarming issues for the country. Multinational companies and telecom operators have been wound up to provide better quality services that are also ecologically safe. The World Health Organization had declared that microwave radiation from mobile phones can increase the possibility of cancer. With the September 1 date approaching, stricter regulations related to electromagnetic radiation emission (EMR) from cell towers and mobile phones will be levied. Millions of mobile subscribers had taken part in the delayed roll out of 3G wireless telephony networks in India. Now, mobile subscribers will experience it all over again. The Department of Telecommunication had given a timeline for telecom operators and mobile phone makers to adhere to the globally permissible and safe levels of electromagnetic radiation emissions. 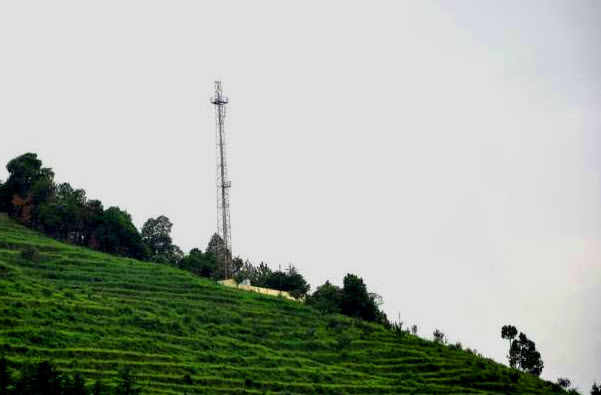 Meanwhile, the Ministry of Environment and Forests has asked the DoT not to permit the installation of cellular towers within one kilometer of existing ones. This is to ensure that there is no potential risk of EMR harming humans, animals and other biological systems. The Cellular Operators Association of India (COAI) had informed The Mobile Indian that the Government of India/DoT has already adopted and implemented ICNIRP (International Commission on Non-Ionizing Radiation Protection) standards for the telecom sector in the country. These standards are considered to be among the best in the world and have been adopted by over 90 per cent countries worldwide. The Inter-Ministerial Committee comprising of the Department of Telecom, Ministry of Health, Ministry of Environment and Forests, Department of Biotechnology, and Indian Council of Medical Research, was set up in August 2010 for studying radiation from cellular towers and mobile handsets. This report can be accessed at . Following that the Department of Telecom announced that new regulations regarding radiation emissions from cellular towers and mobile phones will be effective from September 1, 2012. While the common man is still half-aware of the potential risks of the mobile phone, macro-level matters need immediate attention. Basically, the Ministry of Environment and Forests has notified the DoT to ensure that radiation emission levels from cell towers are under permissible limits. The DoT on the other hand stated that no scientific study had conclusively stated that cellular towers pose a threat to human life. Telecom Minister Kapil Sibal noted that service providers’ cellular towers are maintaining the EMR levels as per pre-defined limits. The cellular towers run by telecom service providers regularly go through audits and checks initiated by the Department of Telecom to measure EMR levels and quality of service. From September 1, the Department of Telecom will ensure that the exposure limits for radio frequency fields (1800 MHz) will be brought down by one tenth to 0.92 Watt per square meter compared to the current standard 9.2 Watt per square meter. However, Rajan S Mathews, director general of COAI, stated that lowering the radio frequency field limits will bring no health benefits. Also, prohibition of cell tower installation in close proximity to one another could lead to poor services. If cell tower frequencies are lowered, then the mobile phones will consume higher power and emit more radiations to gain better cellular coverage. Also, with higher power consumption on the handset that would lead to lesser battery life, lesser talk time as well as standby time and more mobile charging energy consumption. So eventually that will lead to an unpleasant experience of mobile telephony. Telecom service providers will have to tweak the cell towers to adhere to the new RF level standards and also ready them for the new 1800 MHz frequency spectrum. The government of India has plans to refarm the 1800 MHz spectrum by substituting the airwaves being currently crowded in the 900 MHz band by most telecom service providers. The government of India wants to make this possible by early 2013 but apparently it is too short a period for service providers to invest in and implement such changes to boost the efficiency of cellular networks. In order to perform a smoother shift from the 900 MHz spectrum band to the 1800 MHz spectrum band, the government of India will have to let both the bands exist for a couple of years. Mobile phone handsets also generate electromagnetic fields which are basically absorbed by the human body. The amount of radio frequency absorbed by the human body while using a mobile phone is measured by Specific Absorption Rate (SAR). As per current standards, the SAR permissible for mobile phones imported and manufactured in India is set at 2.0 Watts per kilogram of the user’s body mass. As per the IMC report, DoT had announced that Indian mobile handset makers and importers will have to adhere to the new SAR limit of 1.6 Watt per kg effective from August 31, 2013. This date is for mobile phone makers to phase out their products with SAR higher than 1.6 W/kg and this deadline was previously set to September 1, 2012. Indian mobile phone makers have already started working on their devices to adhere with the 1.6 W/kg SAR levels. Multinational handset makers are already offering devices with SAR levels capped at 1.6 W/kg in the US while in Europe the limit has been set to 2 W/kg. In the US, the Federal Communications Commission is an autonomous body that performs exhaustive tests to check the RF emission levels and accordingly offer FCC certification mentioning the relevant SAR level. All new mobile phones that will be sold in Indian markets ought to have their SAR level mentioned on the packaging. Also, old mobile devices that have higher SAR levels should be disposed. That clearly means that if you have been using a three year old mobile phone then it is time to recycle/discard it and purchase a new one. Also, non-branded handsets potentially have higher than permissible SAR levels. It is advisable to keep mobile phones away from infants and kids for they have thinner skulls and are more prone to carcinogenic hazards. The aforementioned scenario where cell towers emitted weaker microwaves will drive mobile phones to function on stronger waves. That means the SAR levels of the phone might spike in low network areas. Hence, it is advisable to switch off the phone or put it in offline mode in weaker signal areas. Health Researchers advise that one must not keep an active smartphone near one’s head while sleeping at night. However, no research has so far been able to conclude that mobile phones cause cancer and you can read a paper on the same from COAI. Handset makers will be required to move to an aircraft grade chassis material for their high-end (3G and 4G LTE) smartphones to keep SAR levels under control and diminishing. In Delhi, the State Health Department, Indian Council of Medical Research, Jawaharlal Nehru University and World Health Organization decided in a meeting that all mobile phones that are sold and imported in the Delhi region should have SAR level tags on them. Besides that, there will be a boom in the market for accessories that will help reduce radiation levels emitted from the smartphone and also protect the quality of telephony. Australian company Pong Research has been offering custom cases for the Apple iPhone, Android based devices and BlackBerry devices. These Pong cases look fancy and also reduce radiation while optimizing mobile phone reception at the same time. The Pong cases claim to reduce radiation levels by up to 96 per cent below the SAR level limits set by the international regulatory. While a majority of Android smartphone owners continuously crib about battery life, poor reception from the cell tower or improper modem software could be the culprit. With different SAR level values in different regions, we advise users to purchase mobile phones after checking the radiation tags. Currently, the Indian SAR level limit is as much as the one permitted in Europe but soon the Indian limit will be brought down to 1.6 W/kg. So be ware if you are purchasing a mobile online or in a region that has a higher SAR level than the one permissible in India. As of now, there are no conclusive reports that radiation emitted from mobile phones and cell towers cause immediate harm. However, it is better to be safe and take enough precaution from microwave radiation than be sorry later.